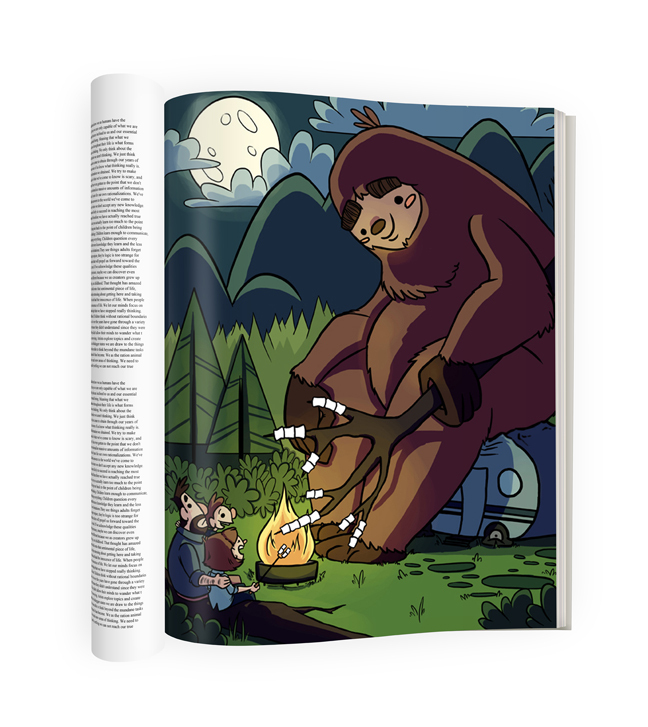 This illustration was designed with a twist that shows Bigfoot as a friend instead of a monster. Maybe Bigfoot just wants to join in on all the family fun instead of living alone in the forest. I created this illustration with the intent that it would be an editorial illustration for a story featured in a children's magazine.